TIREE: Unusual gathering of 340 Gannets sitting on the sea off Hynish this pm, plus 1 Pomarine Skua there. 31 adult Black-tailed Godwits and 150 Golden Plover at Middleton. 1 Whimbrel, 2 adult Black-tailed Godwits and 410 Common Gull on cut silage at Ruaig. 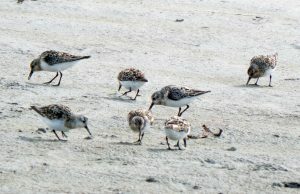 538 Sanderling (all adults) on the main beaches today – still no sign of any juveniles (John Bowler). COWAL: 30 Swifts above Dunoon early evening yesterday (easily the most I have seen this year). An adult and a juvenile Sandwich Tern on the shore at Kirn this evening (George Newall). 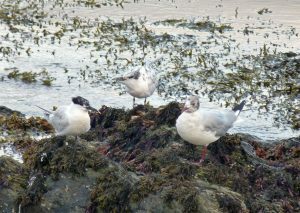 KINTYRE: On Gigha at Ardminish Bay yesterday – 140 Ringed Plover, 70 Dunlin and 1 Osprey (David Jardine). MID-ARGYLL: a Monarch butterfly was seen on the shore at Dunstaffnage (Clive Craik). 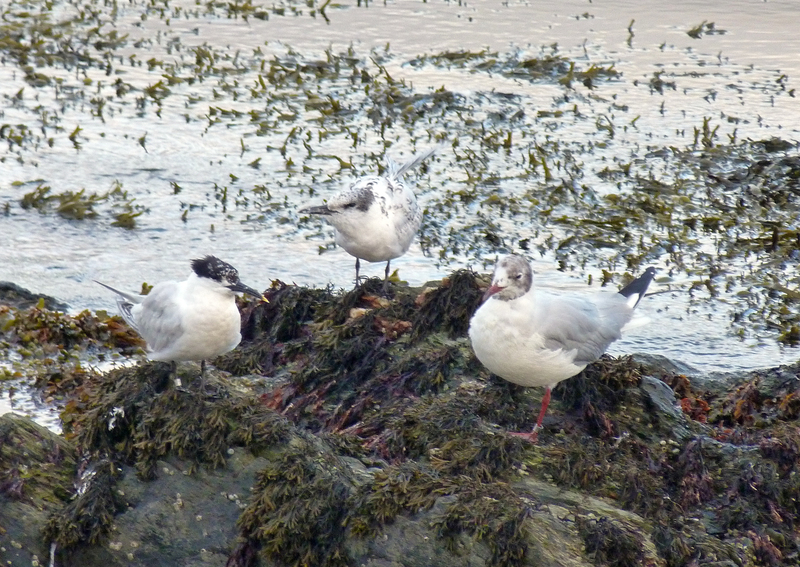 SANDWICH TERNS + B-h GULL (both species ringed!) Kirn, Cowal 6th August (George Newall). SANDERLING – Tiree 6th Aug (John Bowler).